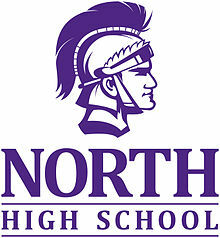 The Downers Grove North High School pool is a 25-yard, eight-lane pool with starting blocks at the deep end of the pool. The start end is 8’ deep and the turn end is 4’ deep with Competitor Non-Turbulent lane lines and a Colorado 6 scoring system with a full color video score board. There is a separate 15 yard diving well used for Supersquad and Nova and as warm up/cool down water during meets. Spectator seating is for 500. The Downers Grove South High School pool is a 25-yard, eight-lane pool with starting blocks at the deep end of the pool. The start end is 8’ deep and the turn end is 4’ deep with Competitor Non-Turbulent lane lines and a Colorado 6 scoring system with a full color video score board. There is a separate 15 yard diving well used for Supersquad and Nova and as warm up/cool down water during meets. Spectator seating is for 500. The Express Swim Team is located at both Downers Grove North and Downers Grove South High schools for a majority of the year. We offer practices at both locations to make it more convenient for our swim families that live closer to one location than the other. Lessons, Super Squad, Nova, and Blue groups are held at both pools every day during the winter season. The Purple, Junior and Senior groups alternate between pools throughout the week. This summer we will practicing only at Downer Grove North.